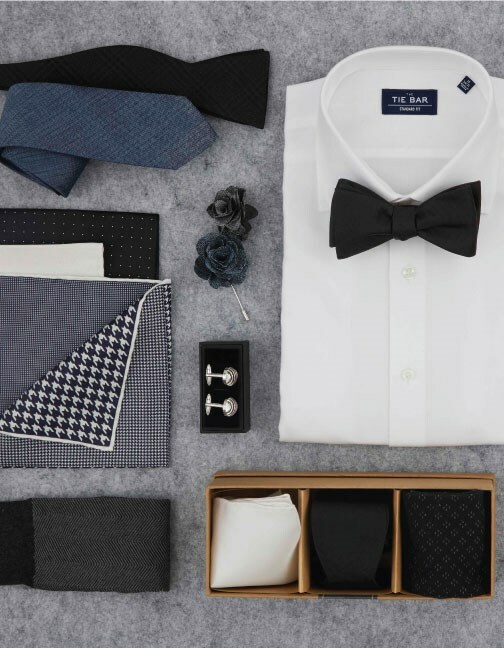 The dress code for a Black Tie function can be confusing—but don't worry, we've got you covered with simple steps to follow for any Black Tie, Black Tie Optional or White Tie event. This popular dress code for formal events means you must wear a full tuxedo (also sometimes called a dinner suit) and bow tie. For very traditional events, cummerbunds are sometimes expected, but we prefer to opt for a pair of suspenders or nothing at all. Dress shoes should be black patent leather or smart lace-up oxfords. For a more modern look, we would always opt for a necktie in deep, rich colors like burgundy, navy blue or azalea. Complete your look with a silk pocket square that complements your tie (but isn't an exact match) or a metallic tie bar. Less strict than the ‘Black Tie' dress code, for this event put on a suit in a dark color (navy, charcoal or black) and pair it with a necktie or a bow tie. A tuxedo is still acceptable for Black Tie Optional, but isn't expected. This kind of dress code is reserved for very formal occasions, and it's not often that you'd be asked to dress White Tie. In the event that you are, the dress code includes a black tailcoat with matching dress pants, a collared shirt with shirt studs and cufflinks, a white bow tie, a white waistcoat and black patent leather dress shoes.